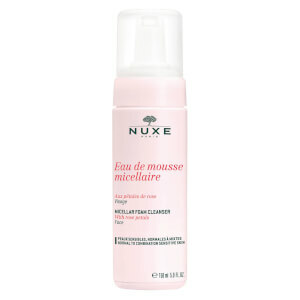 Experience a gentle cleanse with NUXE Micellar Cleansing Oil, a makeup remover that delicately lifts away makeup and impurities from the face and eyes without drying out skin. Suitable for sensitive skin types, the Rose Petal-infused micellar cleanser effectively lifts away makeup (including stubborn waterproof formulas), sunscreen and impurities to leave the complexion feeling supple, fresh and comfortable with no greasy residue. 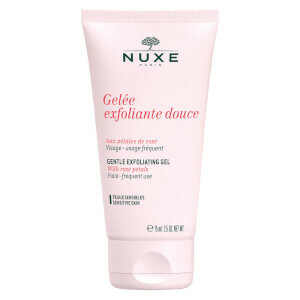 Rose and Geranium fragrance specifically developed for sensitive skin. Contains at least 87% of natural origin ingredients. Apply to dry skin, massage with your fingertips (without using a cotton pad) then rinse off with water. Caprylic/Capric Triglyceride, Coco-Caprylate/Caprate, Peg-20 Glyceryl Triisostearate, Parfum/Fragrance, C12-15 Alkyl Benzoate, Carthamus Tinctorius (Safflower) Seed Oil, Isocetyl Stearoyl Stearate, Tocopherol, Rosa Centifolia Flower Extract [N2309/A].